Over at Julie's: Another Birthday . 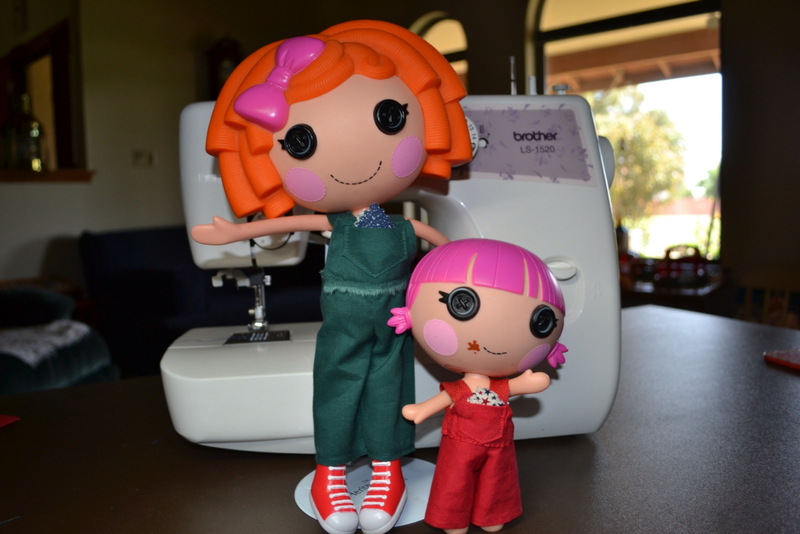 . . Lalaloopsy Bib Overalls! Our Grandson, John Isaac is having a Birthday! John owns 3 Lalaloopsy dolls ~ Ace Fender Bender, Forest Evergreen and Matey Anchors Little. Just like our Granddaughters, John likes to change the clothing on his little playmates! Sure glad Will bought me a sewing machine for our 6-month anniversary, complete with sewing lessons! 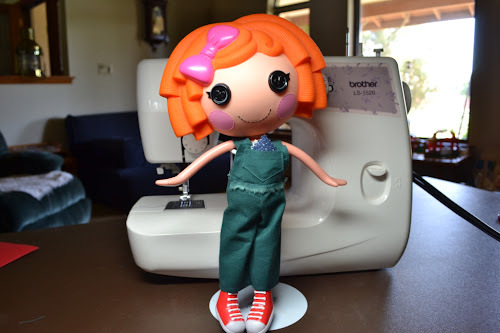 Who knew way back then, as a 20 year old bride, I would be making my own patterns for doll clothes? Back then I wasn't even thinking about having my own children, let alone my Grandkids! 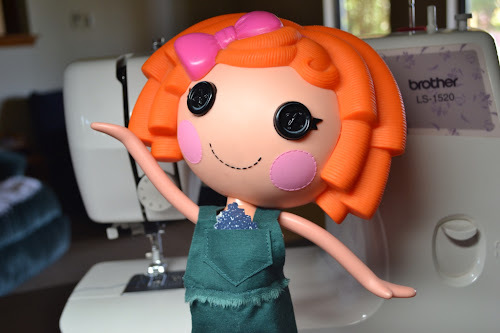 Those lessons gave me the confidence to use my new sewing machine and skills I needed to sew clothing, do mending (which saves a ton) make changing pads and fitted sheets for my babies, and now sewing doll clothes for my Grands! Thanks Will, for investing in my future way back then! All of John's dolls have short pants and he wanted bib overalls to match the pair Uncle Jason and Aunt Annie got him for Christmas, so that's what I made him! 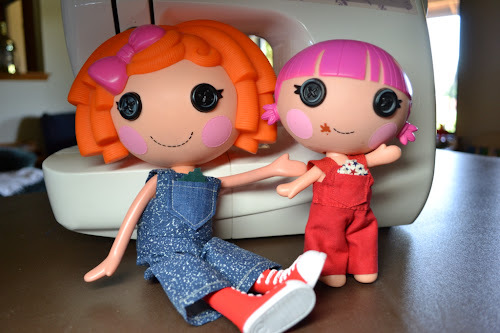 My models are Sunnyside Up and Sprinkle Spice Cookie, the La La dolls I purchased so I can design clothes. Sunnyside Up want a pair of her own Bib Overalls. Steppin' out! They always "ham it up" during photo shoots! 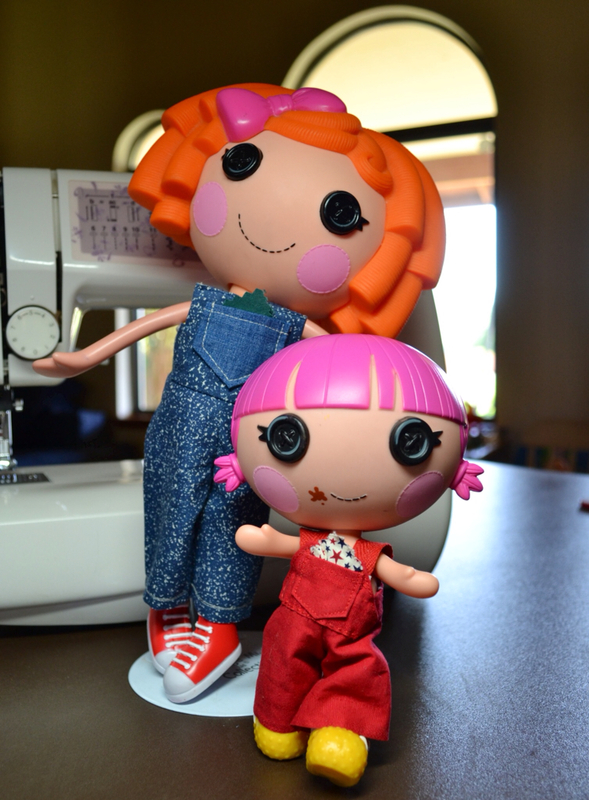 It's really quite fun taking photos of dolls posing . . . Who knew? 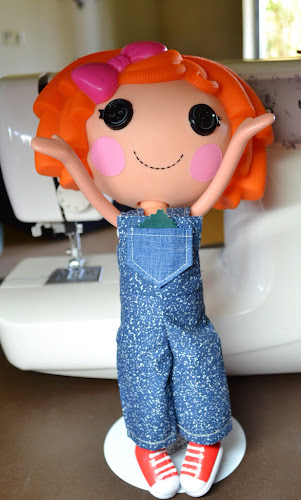 A girl can never own too many Bib Overalls! My patterns are first first sewn from old sheet fabric so I don't waste material. Anything I will need to remember the next time is written on the pattern itself. 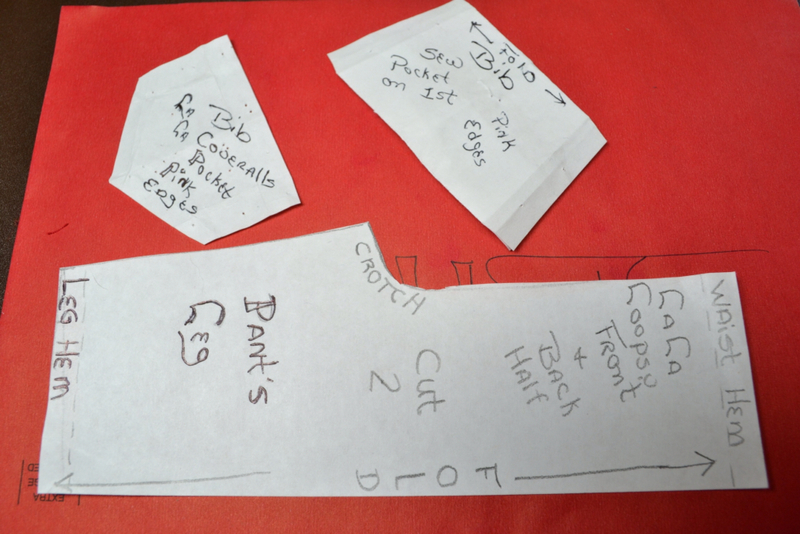 I store my patterns in old greeting card envelopes. Don't be fooled by the size of these clothes . . . They take a bit of time to sew, but the smile on our "Birthday" Boy's face will make it all worthwhile . . . Over at Julie's!! !